Does a shotgun silencer actually work? Buying a gun silencer isn't easy: You have to pay a $200 federal tax and wait months. The National Rifle Association wants to do something about that. A bill introduced in Congress this week would allow for instantaneous background checks to replace a process that can take as long as nine months. The measure would also repeal the tax and, if it passes, refund the $200 to anyone who pays it while the legislation is being debated. Sales of silencers, which are also called suppressors, have been soaring despite the tax and longer background check. More gun manufacturers are selling firearms designs with threaded barrels that can screw on the silencers. The legislation, introduced in the House by Arizona Republican Matt Salmon, is dubbed the "Hearing Protection Act." Supporters argue it will do protect the hearing of those who enjoy shooting guns for sport. "Despite common Hollywood-based misconceptions, the laws of physics dictate that no suppressor will ever be able to render gunfire silent. Suppressors are simply mufflers for firearms," according to a statement from the American Suppressor Association, the trade group for manufacturers of silencers. The devices "significantly reduce the chance of hearing loss for anyone who enjoys the shooting sports," said Chris Cox, executive director of NRA's Institute for Legislative Action. 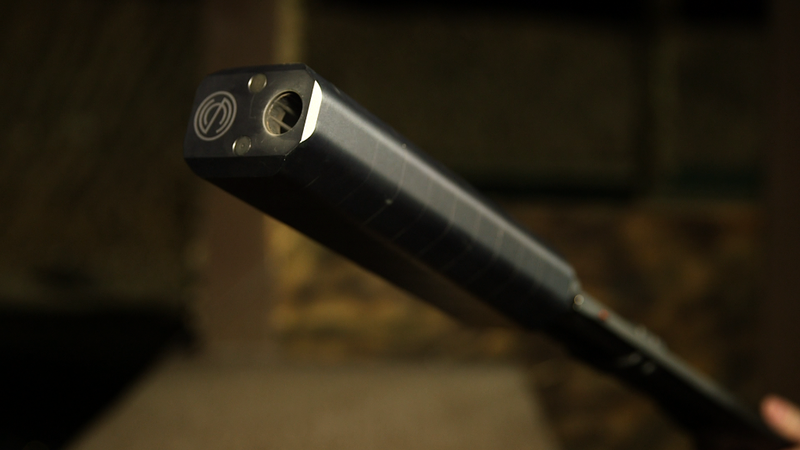 The use of suppressors is legal in 41 states, up from 37 states four years ago. Other states are dropping prohibitions on the use of silencers by hunters. Some gun control advocates argue that silencers increase the danger to law enforcement officers and to innocent bystanders. But even some of those critics have decided not to allocate resources to fight legislation to expand their use.